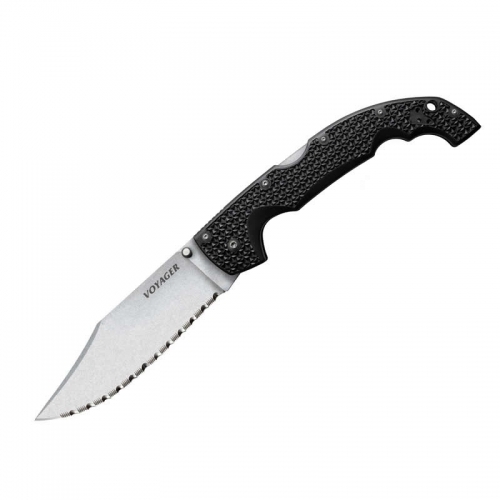 The Kizylar Supreme Aggressor Tactical Knife with a satin finished AUS-8 blade is part of the Tactical Echelon Series. The Aggressor was designed to satisfy the needs of special service units and with those strict requirements mean it also performs very well in general purpose tasks. 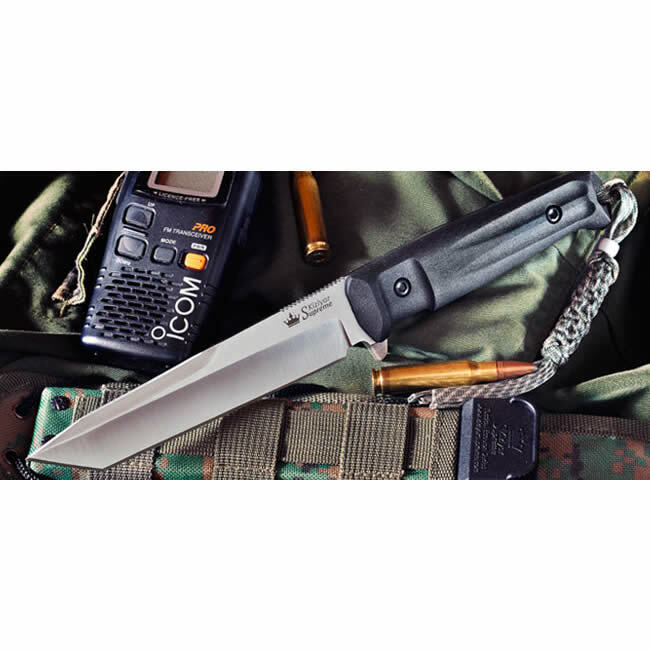 All Tactical Echelon series knives are designed to be reliable and functional with full-tangs and a simple, strong structure. The handle is made of two layers, comprising of soft Kraton upper and ABS underlay. This smart combination allows for all the grippiness of soft Kraton and the strength of ABS. Numerous accessories that are sold separately include a MOLLE belt that can be used for a quieter and even more comfortable knife carry on a thigh, also there is a choice of a few MOLLE-compatible pouches that can be installed directly onto the sheaths to carry a multi-tool, folding knife, sharpener, flashlight, survival kit, etc. 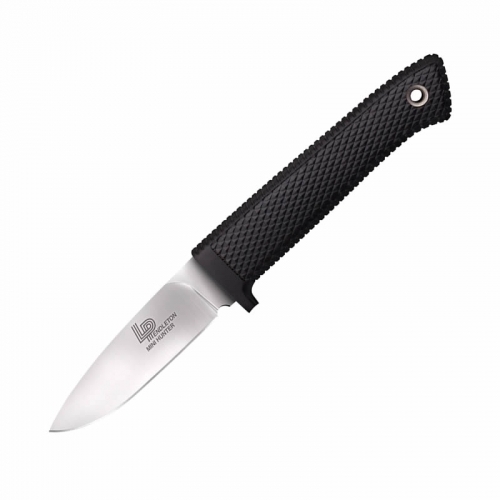 Included: Knife, multifunctional attachment Molle-compatible sheath, lanyard, international warranty certificate, gift box. Made by Kizlyar Supreme. 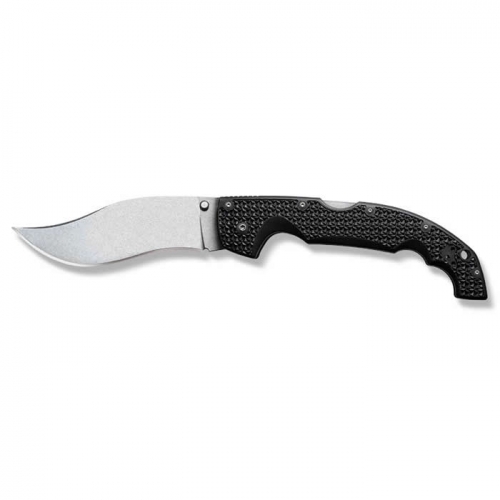 Key Features: Kraton Handle with ABS Base Aus-8 Steel with Satin Finish Nylon MOLLE Compatible Sheath Made in Russia Overall: 11.25″ Blade Length: 6″ Handle Length: 5.25″ Thickness at Guard: 3/16″ Blade Steel: AUS-8 Hrc Edge: 58-60 HRC Handle Material: Kraton/ABS Specs will vary slightly from piece to piece.